Kenya is amazing! She is such a supportive teacher! Her positivity is contagious. Love how she keeps my 2 yr old engaged. 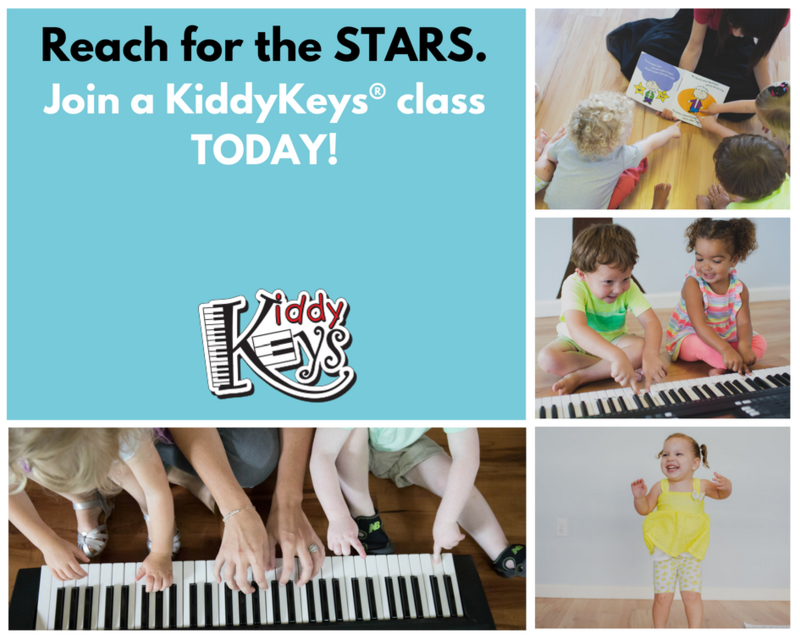 Each KiddyKeys class meets weekly for 30 minutes. There is an annual enrollment fee of $30 ($50 for families of multiple children). Monthly tuition is only $69. You can read our full policy HERE. Your welcome package includes an activity book, shaker instrument, and music tote bag. But wait, there’s more! 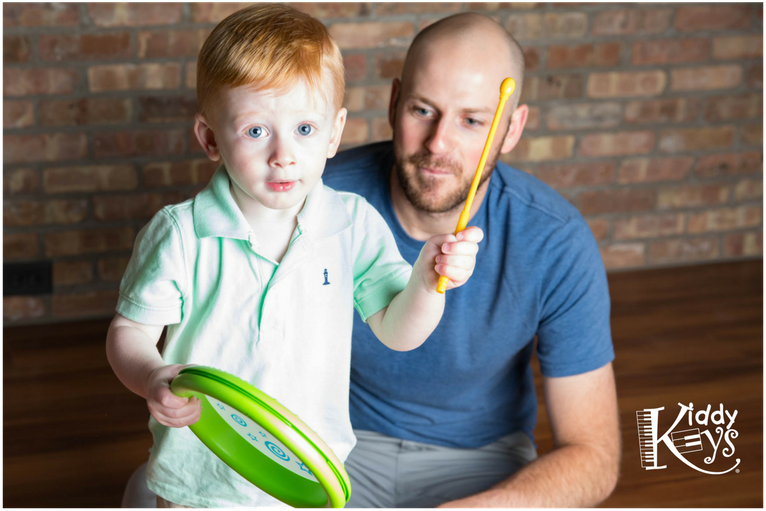 As a KiddyKeys All-Star Family, your twinkling toddler also has periodic opportunities to perform at no additional cost. Are you ready to watch your darling shine brightly? 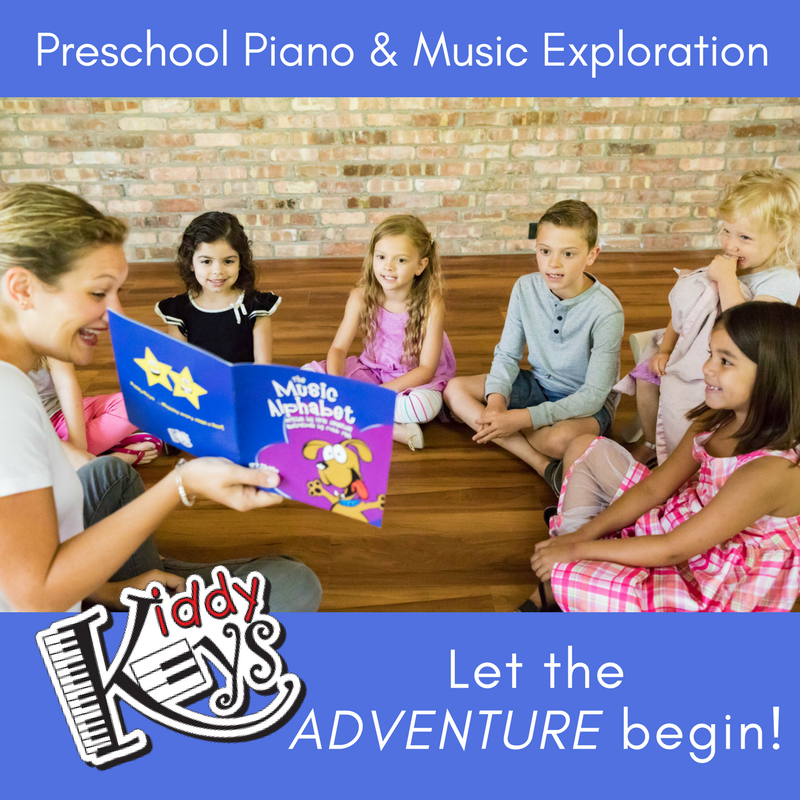 KiddyKeys is our group preschool music program where your little one’s imagination gets to play. There are books to read, songs that teach, and new music friends to meet. This class is a friendly introduction to the letter names in the music alphabet and the patterns of keys on the piano. In this shared community, we lay the foundation for social learning and sharing in a polite and pleasant environment. Your kiddo’s age helps determine which KiddyKeys class to chose from below. Each program focuses on letting your child learn to play and play to learn. KiddyKeys & Co is typically for children between the ages of 1.5-3 years old, whereas KiddyKeys is typically for children between the ages of 2.5-5 years old. Finally, KiddyKeys Plus is typically for children ages 5-7. We recognize that every child is unique and cater to your child’s age and ability. We will help you place your child in the appropriate class. Who will your tender toddler meet in the Land of Music? Your little darling will learn about Mozart, Beethoven, Clara, and Bach and sing songs that reinforce music concepts like high and low, fast and slow, and loud and soft. Whether your youngster is on the move and animated or soft-spoken and shy, KiddyKeys teaches us that we are all music stars.